7 Ways in Which User Engagement Affects SEO | ASTRALCOM - Content Strategy, Conversion Marketing and Customer Acquisition. Effective SEO can be a great way for small business owners to take their businesses to the next level. How visitors behave on your site can influence SEO. To this end, there are certain user engagement metrics or factors that can help to determine success. Brian Sutter, Director of Marketing with Wasp Barcode Technologies, has outlined some of these explained below. If your visitors access your site and stay for a considerable amount of time, you can assume that they are finding something interesting or relevant. Search engines will, therefore, take note of this and rank your pages higher. Relevant and attractive titles will encourage guests to click through to your content. This will promote your ranking even further. 3. How often do you have return visitors? When you have a good rate of return visitors, search engines will take this into account and adjust rankings accordingly. When local sites are able to fully direct their traffic in a relevant way, search engines will consider the site to be of high value and hence provide a better search position. For blog posts, comments are a very good sign of strong user engagement. 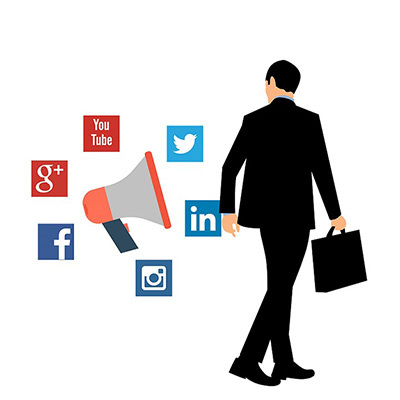 When your content is shared on social media, your company inevitably will get more attention from your target audience. This will definitely play a role in achieving more prominent search results. People who value your content will subscribe to your feed. The more the subscribers you have, the better your ranking will be on major search engines. The bottom line is to give people a good reason to subscribe by delivering consistent helpful material. For more information on these key metrics, read Sutter’s article on Forbes, which breaks everything down very nicely. User engagement, as I explained here, can make or break any digital campaign. However, it can be a bit overwhelming to achieve this effectively on your own. ASTRALCOM is here to help. We know that creating content for web pages is not enough. We go a step further to ensure that you create the most engaging content to share through multiple channels. This way, you can attract comments, subscriptions, likes, replies, shares and forwards. All of this can be achieved by targeting the right audience with the right content. Reach out to us today for customized solutions that will jump-start your company’s user engagement.